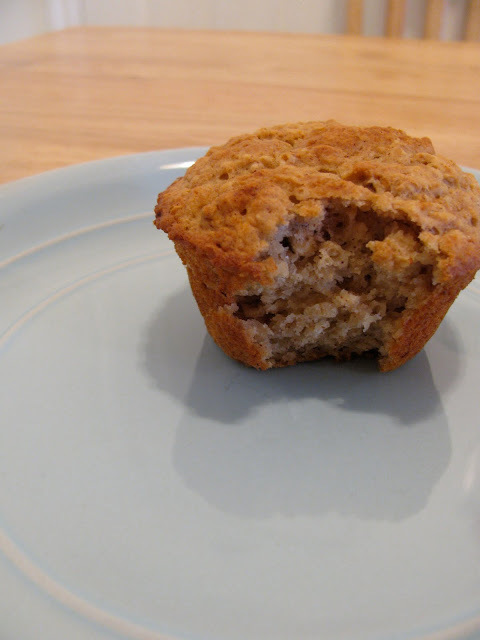 I use no-sugar-added applesauce and whole wheat flour in these delicious muffins. The natural sugar and the high fiber content make this my current favorite snack - they seem to have almost no impact on my blood sugar. Awesome! Preheat oven to 350, spray pans with cooking spray. In medium-sized bowl beat egg, then add oil, honey, and milk; stir in applesauce. Add dry ingredients; stir until just barely combined. Bake for 15-20 min. Yield: one dozen muffins. *I tried these with a whole cup of wheat flour, but they ended up just too dry, so I usually do half-and-half. I'm eager to try this once we get our next can of applesauce. Sounds yummy -- and similar to the applesauce oatmeal cookies my mom makes that I love!